Tomorrow marks the start of very exciting expansion projects on Main Street, U.S.A., at Disneyland park. We’re getting ready to welcome a new bakery and looking forward to expanded space in some of our existing eateries. The expansion kicks off with the all-new Jolly Holiday Bakery Café. The bakery will be located on the current site of the Plaza Pavilion, which recently hosted the Annual Passport Processing Center. The new location will feature an expanded menu, as well as outdoor seating. When Jolly Holiday Bakery Café opens in January 2012, the Blue Ribbon Bakery will close to make way for the next step in the Main Street, U.S.A., project. We’re also excited to announce that, for the first time in decades, Carnation Café will once again offer indoor seating to Disneyland park guests, increasing the total number of seats and giving guests more options for experiencing this iconic restaurant year-round. Carnation Café will close for this refurbishment at the beginning of 2012 and re-open in the summer. Gibson Girl Ice Cream Parlor and the Candy Palace display kitchen will also be gaining additional space. The newly reconfigured ice cream parlor will create more room for guests purchasing the extremely popular hand-dipped cones, and a larger Candy Palace kitchen will allow even more guests to view magical sweet treats as they are created. These locations will close in January 2012 and re-open in the spring. Stay tuned to the Disney Parks Blog – we’ll have more details on this project as it develops. So excited!! Grew up going to Carnation Cafe can’t wait to have it back!! I love it! Will the elephant be removed? Also, will the Penny Arcade be permanently closing to expand the Candy Palace? Hi Ricardo – The Penny Arcade will close briefly as part of this project, but it will reopen in the spring along with Gibson Girl Ice Cream Parlor and the Candy Palace. I am so excited over this! Man oh man that new Disneyland Resort president sure is doing a bang-up job! 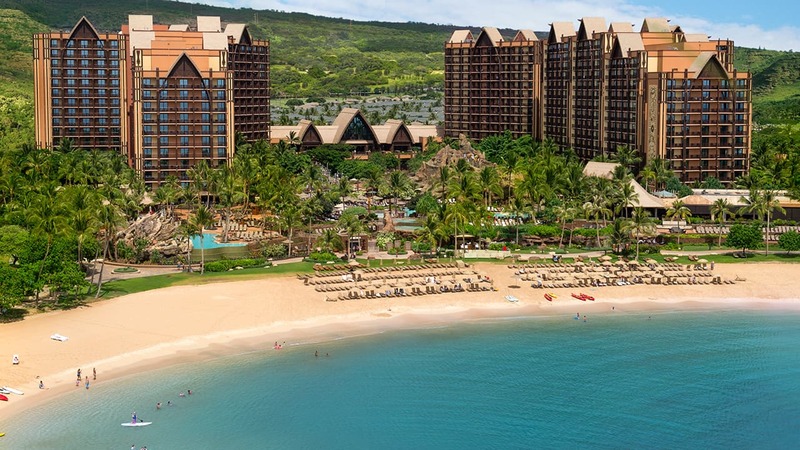 All of the changes to the resort (including the Hotel, Pool, C.A.) are just marvelous! 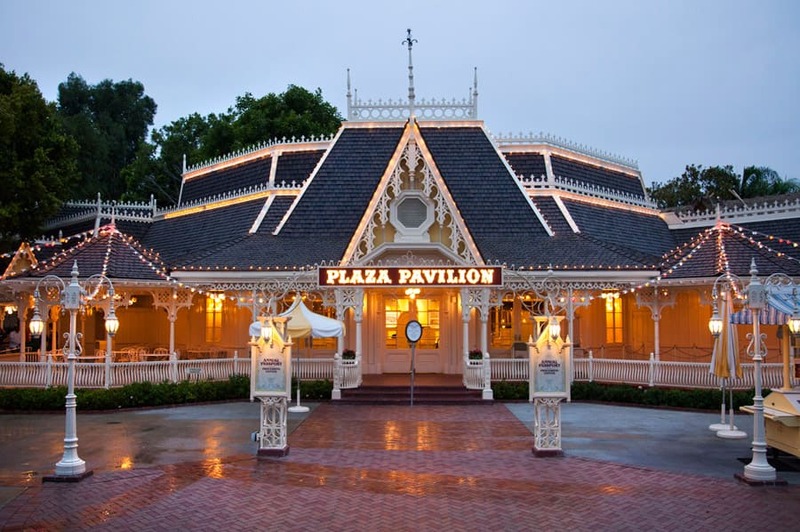 I am SO happy to hear about the Plaza Pavilion! Thanks so much for taking such good care of what I feel is my home 🙂 Good job guys! Now, please fix Fort Wilderness, bring back the Tahitian Garden Restaurant, bring back my Country Bear Jamboree and replace Innoventions with a show. And finally…bring back my Electric Parade! LOL then it will be just right! It’s wonderful to hear about these enhancements!! I’m looking forward to the Jolly Holiday Café. Will there be Raspberry Ice and cakes? How about tea being served on the ceiling? Will there be a server with a wooden leg named Smith? LOL!! It’s nice to see that the Plaza Pavillion will finally be used for a restarant again. I remember many years ago when it served Italian food. Disneyland has needed to upgrade it’s food options for a long time now. The food in DCA is better. Disneyland should have the same high quality and choices that WDW has. But I still love the original park. Been a pass holder for 17 years now, just can’t give it up. I can’t believe they’re closing Blue Ribbon Bakery. That has become my favorite place to grab a bite to eat in the morning on my way in to the park. I’ve been stopping there for so many years now. It’s been a tradition for me to grab a cinnamon roll and coffee and then kick back on Main St. for my morning meal while I people watch and relax a bit before taking on the park. I’ve always loved the atmosphere of Blue Ribbon. Will I be able to get those luscious Matterhorn macaroons anywhere else during construction? I adore those! There is a “hidden Mickey” in the Blue Ribbon Bakery. Will it be moved to a new place or destroyed? I really like the Blue Ribbon Bakery and the coffee and treats available there. Too bad it is closing. I like the other ideas though. If the Blue Ribbon Bakery is closing, will there be any possible way to get a baked treat or coffee before the ropes drop? Isn’t the Plaza Pavillion just right after where the rope drops? So where will I get my croissant and chocolate before the rope drops?! Now after the dust has settled, move around the corner into Adventureland and bring back the Tahitian Terrace! I really miss getting an ice cream sundae at Carnation, I do hope they bring that back! Really excited to hear about these changes! Well said! 🙂 I agree! Im glad they are using that area because when i went there they werent really using it! and i looooooove mary poppins! Glad to see that the restaurant issue has been recognized by Disneyland. There is ample food in CaAdventure, but somehow limited food in Dland. Our annual trip includes eating at Blue Bayou, but the wait can be long. Having more restaurants will make the lines shorter which is much needed. On opening Christmas decoration day Nov of 2011 (sorry don’t know the official title) we waited 2 hours in line for a sandwhich. That’s unexceptable. We were famished. The Gibson Girl will reopen. I’m very happy the Plaza Pavilion will be used for a Mary Poppins style bakery. Main Street USA is one of my favorite places in the park. I hope that this new bakery will offer Vegan items! I miss baked goods! I am very excited to see this! I always thought that they should use some of the Plaza Pavillion area to relocate the Tiki Garden so that the entrance to Adventureland isn’t such a pinch-point. Oh and there better be Raspberry Ice, Cakes and Tea! Ha ha! Nice one, Elisabeth. I vaguely remember eating at a pancake restaurant at the “Disney Showcase” retail shop, (opposite The Emporium), in the early 70’s. Am I remembering that correctly? Disneyland needs to build a second floor to the Tomorrowland Terrace eatery with table service dining and space theming. Yay! Yay! Yay! and Yay! Did I mention Yay!? Sounds wonderful, except I have one very important question. Is the Gibson Girl closing for good???? That just CANNOT happen, please tell me it is closing and will reopen when the rest of main street opens!! It is a long standing tradition that we have ice cream there EVERY day of EVERY visit! And my daughters new married last name is Gibson so we always take a picture of her and now my Grand daughter in front of the Gibson Girl sign. Please stewards of Disneyland be very careful about any changes made to the core parts of Disneyland, I am a first gen Disneyland baby and I am very protective. Fear not, Christina! Gibson Girl Ice Cream Parlor will reopen in Spring 2012. Aww, I’ll be sad to see Blue Ribbon Bakery close. That was my work location when I was part of the College Program. For me, no trip is complete without a walk through of the Bakery to remind myself of all the fun I had. But I am excited for the expansions and new food locations. I know that Disney needs to constantly change and improve. I hope these changes are for the better. I’m not too sad about the Blue Ribbon Bakery closing. It will be awesome to have indoor/more seating at the Carnation Cafe. I’m also looking forward to the Jolly Holiday Bakery too. Having so many Main Street food establishments closed all at once will really be a bummer ! Carnation Cafe is one of my favorites 🙂 A new bakery will be exciting though .. Adventureland needs another eatery ; I for one would love to see the TAHITIAN TERRACE RETURN ! It’s such a shame it was taken away ! It was ultra popular ! Just saying what Walt’s dream really was; for it to grow and change to give everyone new reasons to come back over and over. FINALLY. So glad to see the Plaza Pavilion being used as a restaurant. Seeing that great restaurant space being used to sell AP’s was annoying. I’m also glad that they are expanding the Carnation Cafe. One of the best restaurants at Disneyland–I used to get sundaes there during my visits in college. Indoor seating will be nice to have back. What about Minnie’s Breakfast? One of my favorite breakfast buffets anywhere and a must each time we go to disneyland. The Carnation Cafe still has the Matterhorn ice cream sundae last I heard. I agree, i can’t imagine why so much is closed at the same time at both parks. It makes me rethink my daughters 16th bday trip. Are the closing minnoes breakfast for good? That was our favorite one! I’m kind of sad too, that these places will be closing in January 2012. I won park hopper tickets to the park on the radio and my daughter & I will be visiting in September of this year. The Haunted Mansion, Pirates and the Blue Bayou will all be closed 🙁 We are going to visit again in March of 2012 as our tickets expire March 15th and the Gibson Girl will be closed? That is one of our favorite places! BUMMER!!! Although the renovations and refurbishments will definately be awesome I am still kinda sad that we will be missing these places on our visits. By the way, THANKS FOR THE FREE TICKETS!!!! Disneyland is our most favorite place in the WHOLE world!!!!! Woo Hoo. Can’t wait. Plaza Pavilion back ton a food location and Carnation Cafe. Shades of my past. The Blue Ribbon Bakery will only be closed for a total of ten days (hopefully). I am very excited for this expansion to happen. I cant wait for the Jolly Holiday Bakery & Cafe to come to the Resort. I’m with Kathy on that point. Give us time to catch our breath between all these changes. Bring back Fantasia ice cream too. Really looking forward to Jolly Holiday Bakery Café, but extremely weary of both parks constantly being under construction. It would be nice if things were left alone for awhile so that guests might experience the parks in totality rather than being cut off from several areas and shops. One of our favourite things to do in Disneyland is grab a coffee and muffin and enjoy the ambiance of Main Street first thing in the morning 🙂 No matter where the bakery is…it won’t change this habit 😀 I’m glad to hear refurbs are planned…and I’m excited to see the Jolly Holiday Bakery when we’re there in January! Too bad the ice cream parlor will be closed for our visit…but it’ll be open for the one after that!! I’m excited to see the finished product! Woohooooooooooo! I was so bummed when they turned that area into the Annual Passport Processing Center (even though I am one). So glad to see these changes. Now if you really want to make this old paraplegic happy, figure out how to get those that can’t transfer from their wheelchairs on Pirates, Haunted Mansion, Bobsled, etc. That should be cool! Jolly Holiday Bakery Cafe is a nod to Mary Poppins correct? will it be somewhat themed to Mary Poppins? I wish they would bring back the themed Ice Cream treat to Carnation Cafe. Does anyone remember the “Splash Mountain” or the “Matterhorn” ice cream sundaes? Ryan – The Matterhorn Sundae is currently available at Carnation Cafe. Very excited to hear that the Carnation Cafe will be expanded. That is the only place worth eating at in Disneyland. Sounds like a great plan in the end but I don’t like the idea of all these places being closed at the same time for such an extended period of time. Can’t wait to see the finished product though. I can’t believe we’re losing the Blue Ribbon Bakery. 🙁 That’s one of my favorite places on Main Street. I’m sure the new bakery will be great, but it will be way down at the end of Main Street. I like having the bakery in the middle so I can come straight out and still enjoy being on Main Street.